My makeup routine is never complete without applying a coat of mascara to my lashes; if I don't have mascara on I do not feel myself and I usually only like a makeup look once I have applied mascara. There have been times when I have hated my eye makeup and as soon as I applied a coat of mascara I absolutely loved the look. Besides concealer, mascara is the one product that I have to wear everyday as it just makes me feel more confident (I don't know why!). This is the one product that I have been wearing pretty much every single day since I was 14, so of course I have tried a lot of mascaras in my time. 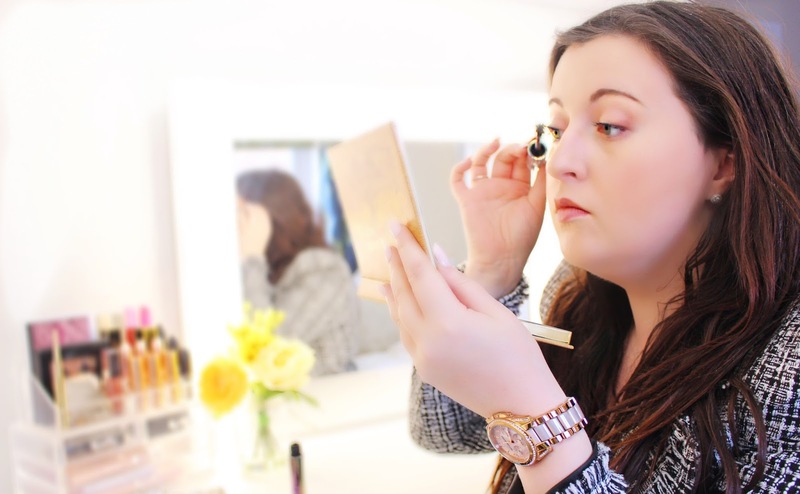 I have tested mascaras from the drugstore and from high-end brands and have had several love affairs over the years: one of my favourites was the Maybelline The Falsies and recently I have become obsessed with the Bobbi Brown Eye Opening Mascara. But when I heard that Urban Decay was releasing a new mascara in the Autumn of last year I had to pick one up! This mascara has a lot of claims surrounding it that it is meant to do to the lashes and I was really intrigued whether this mascara could do everything it claims to do. It promises to give lashes 13.7x more volume, as well as being a lengthening mascara. Urban Decay have also said that their unique and specially designed brush applicator separates the lashes as it grabs onto them - whilst coating each lash evenly as well as gently curling each lash at the same time. Basically this mascara does everything that we want in a mascara but does it perform as well as it says it does. I will say that I do have long and thick lashes, so every mascara will look like it has lengthened my lashes and added volume (so maybe consider that when reading this review). The Urban Decay Troublemaker mascara is available from many retail stores including Urban Decay, Debenhams and Sephora for £19.50. The first thing that I have to mention is the packaging, as I love how this mascara looks like no other currently on the market. I am not going to dwell on the packaging too much as I know you want to know whether this mascara actually does everything it claims to but it would be rude to not talk about how beautiful it looks. 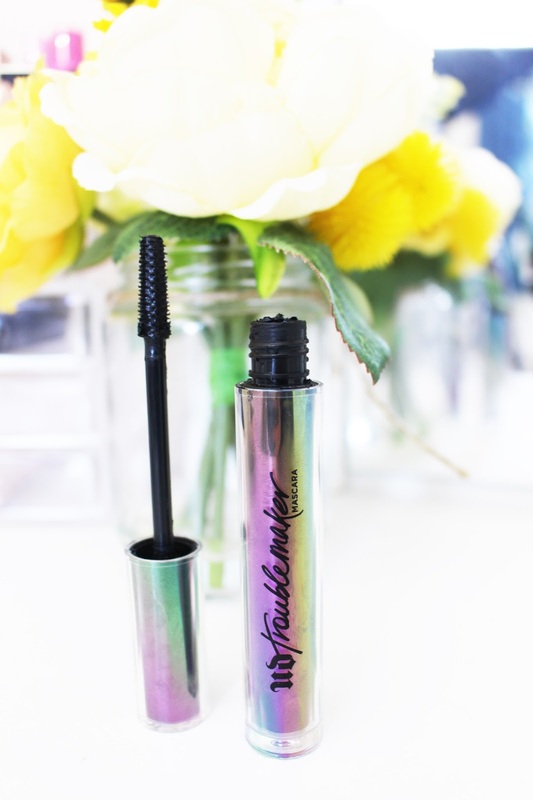 The mascara is encased in a prismatic rainbow tube - which looks like a chrome or like an oil slick and is just stunning to look at. This is just so Urban Decay and reminds me a lot of the nineties for some reason! I love how recently Urban Decay have been more inspired by the nineties with their packaging but have given it a more modern and unique twist; which they are well know for! I have been using this mascara for the last few weeks and I now feel like I have used the product enough to give a honest review and tell you all about my feelings towards this mascara. When I first opened this mascara just after New Year's I wanted to see what the wand was like. I always know whether I am going to like a mascara depending on the shape and size of the wand. I tend to prefer to use mascaras that have a big, bristled brush and was a little disappointed when I saw that this mascara wand was a thin and plastic one - however, I still like using these types of mascaras as well and I do find the thin plastic wands easier to use as I find they grab and coat every single lash. There are little hooks on the brush that are meant to grab each lash and give a lash-multiplying effect. Also the width of the brush is perfect for getting really close to the lash band without stabbing your eye with the wand. What did put me off was the scent that came from this mascara. I am not sure what the scent is and if it is coming from the mascara formula or the packaging but it is not a pleasant scent. It is quite strong to start off with but only if you are putting the mascara right near your nose and once the mascara is applied to the lashes you cannot smell anything (but it is a slightly unpleasant scent so I just make sure to not place the wand too near my nose). 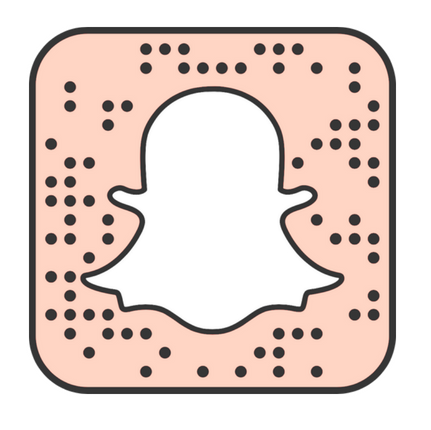 So the scent is definitely something to consider and it could put quite a few people off, however I have grown use to it and it doesn't smell as bad now that I have used it multiple times. I have used these sorts of synthetic mascara wands for years now, so I kind of know how to get the most from the wand - however, I have read quite a few reviews where people have said that they really struggled the first time they used this mascara but after persevering and changing their technique they really loved the effect. I find that turning the position of my hand so that the bristles are more of a diagonal really helps to grab each lash and evenly coat them. Once you have gotten use to holding the wand a certain way it is amazing and you can really see the brush grabbing each lash and pulling them upwards to give length. Now, does this mascara do what it claims it will do? I do feel like this does tick a lot of the claims that are written on the box - however, would I say it gave my lashes more length and added 13.7x more volume; I'm not sure. I have long lashes anyway and they have a lot of volume when I am not wearing mascara so when I applied this formula to my lashes I found that they looked just as long and voluminous as they do with any mascara. I did find that this mascara lengthened my lashes slightly and did add a bit of volume but I wouldn't say it gave me 13.7x more volume (although I don't know how that figure was calculated). I really loves how this mascara gave an even coat to each lash and didn't clump any of the lashes together. The last time I tried a mascara with the same type of wand I found that it would clump my lashes and didn't coat every lash evenly. However, this mascara applied beautifully to every lash and just made my eye makeup look amazing without being too heavy or too dramatic! I am not someone who likes to apply multiple coats of mascara as I prefer a more fresh and natural look, especially as my lashes are already so long - but this is a mascara that you can definitely build up to make look more dramatic. I would definitely say that if you have shorter or finer lashes then you will probably need at least two coats of mascara, instead it is the ability to lengthen the lashes, whilst being able to separate and lift each lash, which is the real star quality of this mascara. However, I love how my lashes look with this mascara on and it has become a firm favourite of mine in the last few weeks! 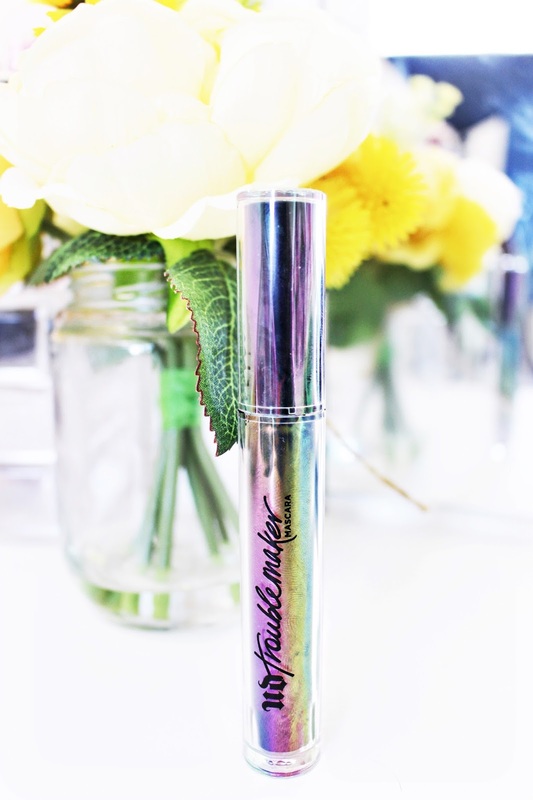 The main quality that I absolutely love about this mascara is the biggest claim when it comes to its lasting power! I have worn this all day from 9am to 10pm and my lashes still looked just as great when I was taking it off as it did when I first applied it - this really is a mascara that is built to last! I have always struggled to find a mascara that lasts all day that will not smudge, transfer or clump under my lower lash line. But this mascara really does last and it does not fade as the day progresses. This would be a great mascara for your lower lashes as it does not smudge at all. I have seen some Bloggers and YouTubers comment that this is not waterproof (like it says it is) and will smudge in water, steam or if your lashes come into contact with any moisture (especially when working out at a gym). I have not tested whether it is waterproof so cannot comment on this but will keep you updated. This really is an amazing mascara that I love to use when I know I have a long day planned where I am not able to touch up my makeup! Overall, this mascara is great and is the mascara that I reach for when I want my mascara to last all day and don't want it to come off. This really does add some length to my lashes and some volume; but I wouldn't say that it gives 13.7x more volume. It might, however, add even more length and volume if you have finer lashes that lack length and volume. I really love how this separates and lifts my lashes and keeps them looking full all day. I find that this mascara is great for days when I don't want to wear false lashes but still want them to look natural. The only criticism that I have is the scent which I have already talked about but it has not put me off wearing it most days. You definitely have to build up the layers of mascara if you have finer, shorter lashes and it is definitely does not give a dramatic effect unlike some other mascaras that I own. 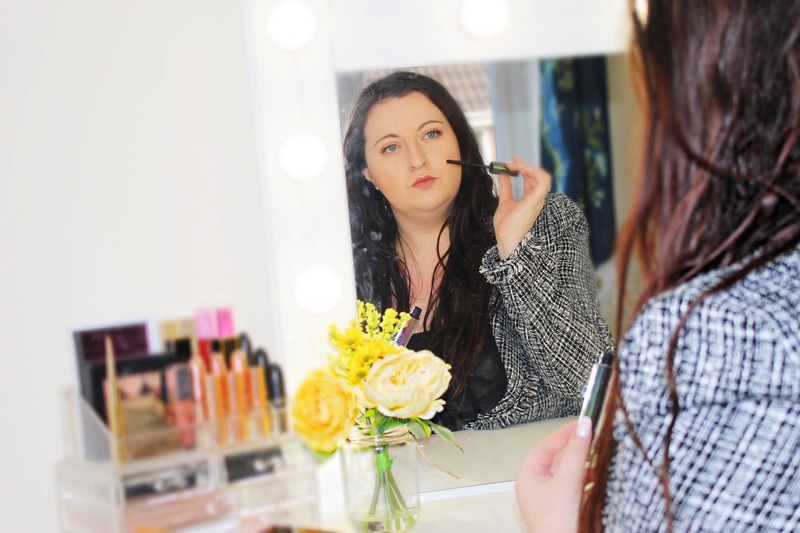 I really do love this mascara and it is perfect for every day makeup looks, although you can build up the mascara to get a more dramatic effect for nights out. This is a great mascara that lasts all day, lengthens, lifts, separates the lashes and gives a natural effect - so if that ticks off your checklist for a mascara then this is perfect for you! 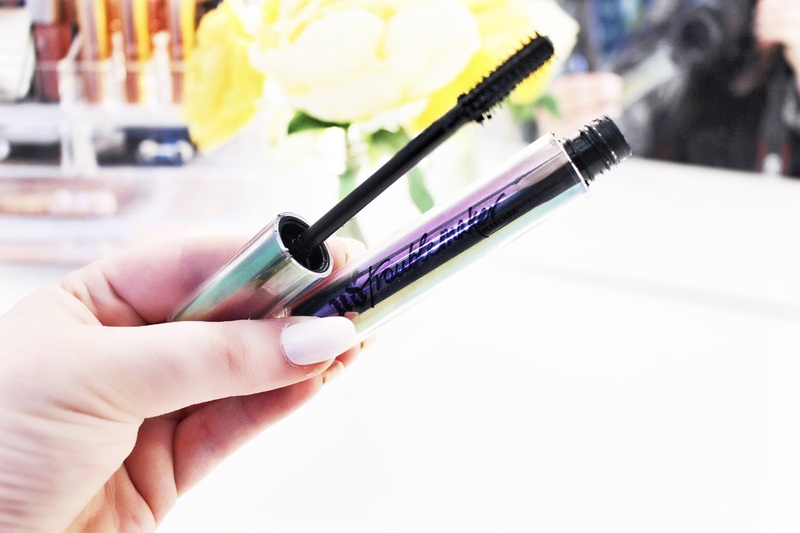 The Urban Decay Troublemaker mascara costs £19.50 and is available from Urban Decay, Debenhams and Sephora. Let me know in the comments if you have tried this mascara and what your thoughts are on it! Plus let me know if there are any other mascaras that I should try this year!